With Halloween in the not-so-distant past, the leaves on the trees begin to color the sky with newborn orange and red hues and the rustic smell of bonfire wafts in the air. Along with the rising popularity of pumpkin spice lattes and the exciting prospect of wearing infinity scarves, fall’s commencement reminds us that Thanksgiving waits around the corner, prompting us to cherish the blessings given to us by our friends, family and university. Florida State University’s ever present safe-haven provides many of these blessings, and this Thanksgiving, FSU students want to thank their school for granting them countless opportunities, memories and friendships. Florida State, thank you for these 10 things, and so much more. Freshman year, we hid in our dorm rooms and cried to our parents about our friendless lives until one day, we swallowed the lump at the back of our throats, tapped on her shoulder, croaked out a “Hey!” and the rest was history. “There’s something about being a fellow Seminole and going through college together that really creates a cool bond. 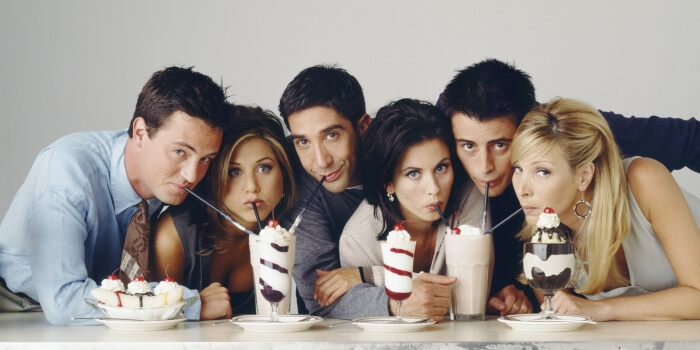 These are the people I want to be in my life forever. They’ll be the people I invite to my wedding and who my children call ‘aunty’ and ’uncle,’” said senior Jordan Kopanski. Perhaps it’s experiencing White Trash Wednesdays at the Strip or enduring 90-degree weather together during Saturday afternoon football games that creates such tight bonds. Perhaps eating “Stoner’s Pizza” from Gumby’s at 2 a.m. together gives us no opportunity to go back to the trivial acquaintances we once had. Whatever the case, the friendships built at FSU equate to a kind of tribal love, echoing the characteristics of our namesake. Whether the president of an a cappella group, section leader in Marching Chiefs or CARE Ambassador, FSU’s incredibly diverse student organizations offer ample opportunity to explore our dreams and ambitions. Senior Shaquala Butler thanks FSU for selecting her for the CARE Ambassador Program, a program in which ambassadors guide, counsel and assist groups of students at the university. “Through CARE, I learned that helping and teaching others is my true passion. If I hadn’t been granted this leadership opportunity, I don’t think this sense of purpose would have awakened in me until much later.” FSU’s continued dedication to shape student leaders reminds us that FSU believes in our abilities to change the world. FSU’s picturesque quality lies within its rugged and distinguished brick buildings carefully framed by towering oak trees. Often likened to a real-life Hogwarts, FSU’s beauty somehow initiates that magical feeling of limitlessness. “I like to sit right outside Strozier library—you know, on those benches where you can sit and look out at Landis. There’s something so peaceful about sitting there,” said junior Kate Lowe. FSU’s Legacy Walk embodies these characteristics well—and let’s not forget about Doak S. Campbell Stadium, which often ranks online as the most beautiful building across college-campuses nation-wide. It would have been enough to just exude external beauty, but FSU’s beauty transcends superficiality. Dodd Hall is filled with colorful stained glass windows and beautifully carved wood ceilings. Even more, every building has something uniquely beautiful to offer. FSU senior Caroline Roth said, “This might be surprising, but I really enjoy the King building. They always have beautiful pictures of research FSU is doing and the floor has little cells and DNA pictured on it. I think it’s really cool.” If Florida State were a novel, its book and cover would be perfectly matched. Our campus is filled with a staff that genuinely cares for the student body. “I have been so inspired by a lot of my professors here. Patricia Terebelski pretty much restored my faith in the education system. She always had these fun little projects for us. I feel like a lot of teachers can seem pretty bitter, but not her,” said senior Caroline Roth. Another notable professor at FSU, Mark Ziegler, performed the entire “Trouble in River City” sequence from The Music Man to illustrate ways to persuade to a public speaking class. This kind of creative effort, along with our professors’ willingness to guide struggling students, makes Florida State a welcoming and comfortable learning environment. 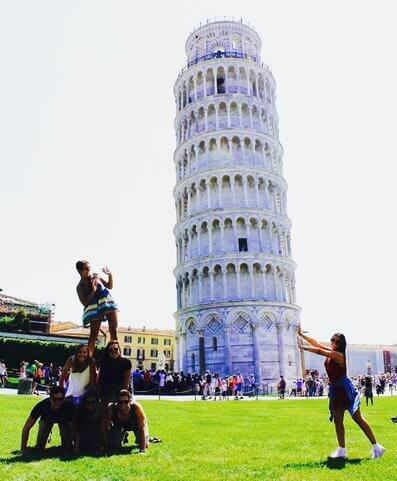 FSU’s study abroad program consistently ranks elite among college international programs across the nation. Sending nearly 2,000 students abroad every year, FSU international programs host students in Italy, France, Spain, Israel, China, Croatia, Czech Republic, Peru, Tanzania and more. “I spent the summer of my freshman year studying in Florence, Italy. FSU International Programs sparked my desire to continue traveling, which has led me to more than 20 countries across five different continents,” said senior Thomas McCarthy. 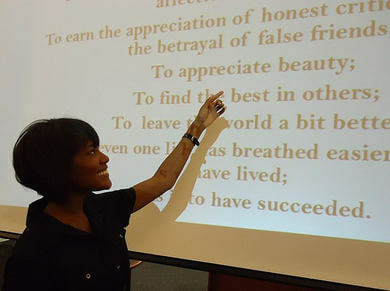 FSU encourages students to step out of their American boxes and cultivate to other worldviews. Our university yearns for a better and brighter world, one filled with capable students who don’t just limit themselves to the country in which they were born. “I’m writing my thesis and it amazes me how all of the tools are right here at my fingertips,” said FSU senior Carlos Fernandez. At FSU, students have access to eight libraries containing a total of three million volumes and over 850 databases. 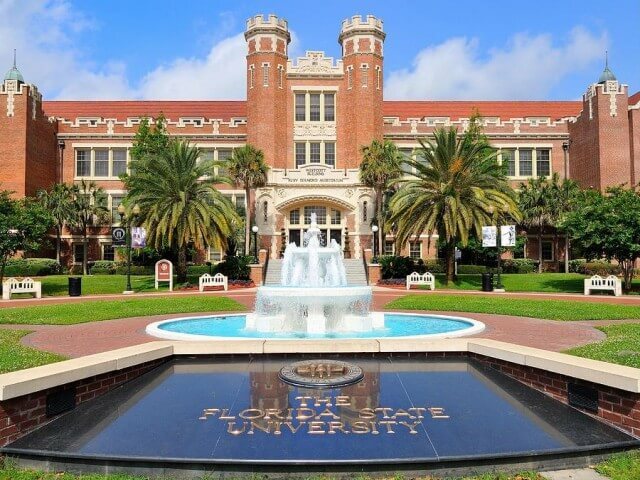 Florida State is also the only graduate institution in the country featuring Napoleon and the Revolution. 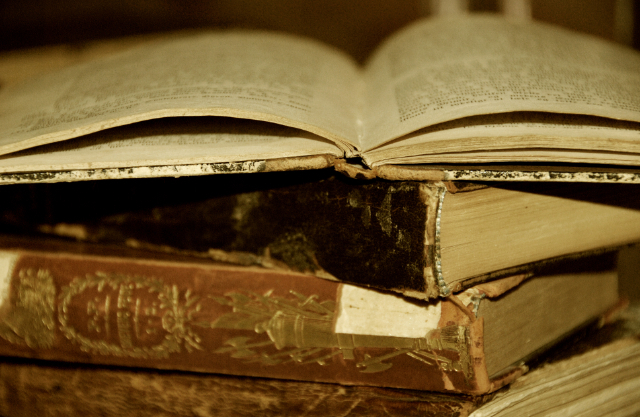 With over 20,000 rare titles and issues from the period, researchers from all over the world visit FSU to conduct their studies. With so many research opportunities right at our fingertips, it’s no wonder FSU students, like Fernandez, welcome learning with open arms. With roots dating back to the 1850s, FSU has undergone multiple economic, political and social changes, yet still stands strong today. “It’s so cool that I get to attend the same school and walk the same halls that my grandma did,” said senior Ella McClellan. 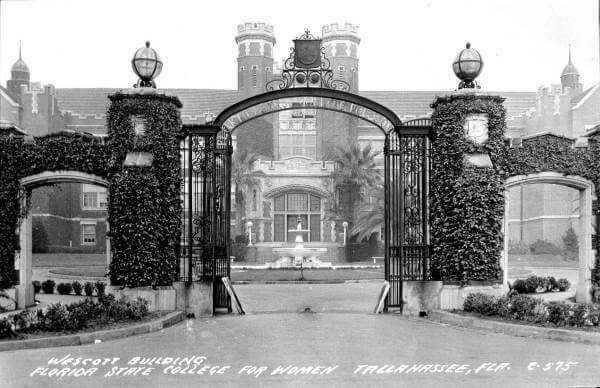 Originally the Florida State College for Women, FSU transitioned in the 1950s into the university we know today, accepting male students for attendance. “My grandpa was in the first wave of men to be admitted, and this is where they met and fell in love,” said McClellan. FSU’s inspiration began nearly a century ago, and the stable foundation of this university enables that flame to continue to inspire students in later generations. Our alumni have gone on to publish books, work for NASA and even perform on Broadway. 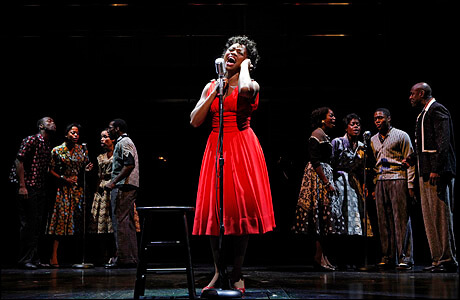 Montego Glover, who graduated from FSU’s Musical Theatre Program, starred in the hit Broadway musical Memphis, a musical that won the Tony Award for Best Musical in 2010. Robert A. Holton created Paxitol, a drug used to treat different types of ovarian cancers. Whatever the case, FSU graduates prove that our educational environment fosters success outside of college. “I’m thankful I can be confident in my education because my professors are often times the same people who wrote the books and are doing the research that everyone is learning from,” said senior Rebekah Martin. 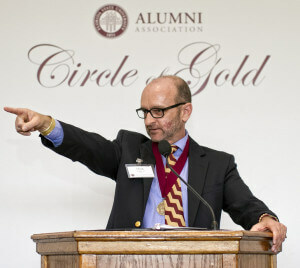 It’s clear that FSU’s bite is just as strong as its bark because FSU alumni are making great strides to change the world–and succeeding. 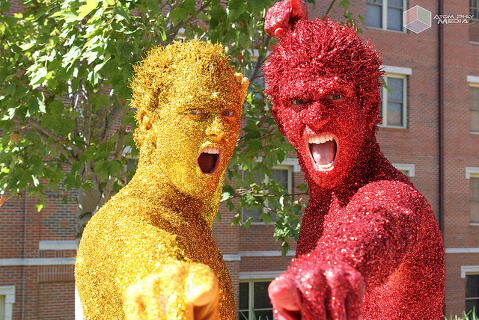 FSU holds its place as one of two universities in the nation to run a fully functioning circus. Completely student run, the FSU circus is staged in an authentic “Big Top” tent. Functioning on a purely volunteer basis, students alone keep this unique tradition alive. Every aspect of the performance runs via student leadership—lights, costumes, set and finally, performance. With acts such as the double and flying trapeze, the FSU Circus rivals that of a truly professional show and remains a quintessential part of the FSU experience. While October’s loss against Georgia Tech dredged up feelings of defeat, nothing can diminish the pride we felt when we became the BCS Champions in 2013. “I was at a viewing party, and about halfway through we all lost spirit, thinking we were going to lose. But when we won, it was so exciting. It may have been the only time of my college journey—and probably my life—that I have ever cared about sports,” said senior Jacob Tourjeman. Some may cheer for the football team, but for those who don’t care for sports, cheering for FSU is enough, for it’s a university that makes us proud.